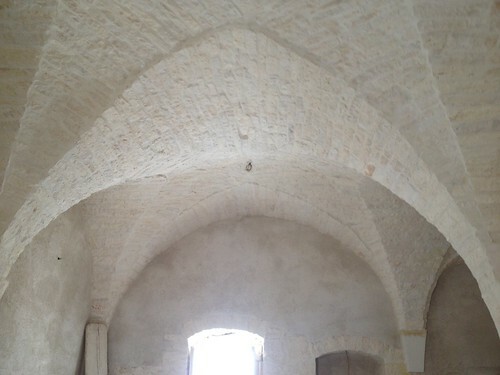 Since our last visit there has been significant progress in the reconstruction: we now have a concrete floor, the walls have been rendered with a mix of concrete and calce (lime) and the ceiling has been repointed - and looking brilliant. 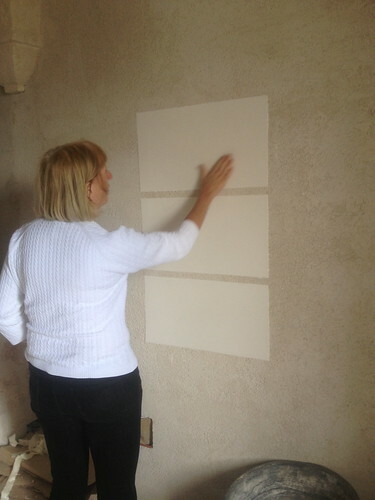 Saverio did three test samples for possible finishes for the wall plaster top coat. The upper sample was rustic, the bottom very white and shiny and the middle somewhere in between. We went for the middle option. The underfloor heating pipework has been ordered and due to arrive from Germany. By the next visit it should be installed and the top layer of cement laid over it. Then the original, salvaged floor tiles will be relaid. That means the kitchen fitters can come and take definitive measurements; the kitchen lead time is now the critical path. Only three weeks to go to the next visit.